A tribute act to one of the legends of Las Vegas Ol' Blue Eyes himself Frank Sinatra. A leading member of the Rat Pack Classic Sinatra can not only perform a Frank Sinatra Tribute Show but can also provide a complete Frank Sinatra Themed event including genuine Frank Sinatra Memorabilia consisting of Frank Sinatra Gold disks, Original Frank Sinatra Photography and Paintings. Ideal for Casino Nights or Las Vegas Theme Parties. Let Classic Sinatra bring the memories flooding back with an authentic tribute to Frank Sinatra. Classic Sinatra will perform all Frank Sinatras Greatest Hits for you to enjoy. Classic Sinatra is English and based in the UK but performs his tribute act all over the world. Whilst many consider such acts as impersonators Ian Gallagher prefers to use the term "Tribute act" as he feels he is paying a tribute to one of the true show business legends Frank SInatra. Ian can appear with a complete Big Band, a quartet or a trio - you decide on the size of the band for the tribute show. All of the arrangements are true to the Frank Sinatra scores. You will hear when Ian performs his Frank Sinatra Tribute Act with his state of the art Laser Disc recordings of Frank Sinatra's songs all the power and rhythm of a swinging affair. Ian's high regard for Frank Sinatra's music will be evident from the moment the show starts. Ian has performed his Frank Sinatra Tribute Act "Classic Sinatra"� all over the world, and you'll want to sing along, get up and dance. 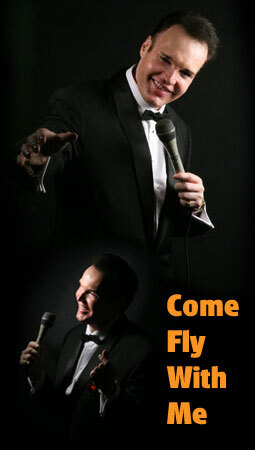 Ian's Classic Sinatra tribute show has appeared at many top venues throughout the UK, Europe and USA. Ian's energy and passion for this King of Swing is infectious. Close your eyes, and young and old alike, will enjoy authentic sounding renditions of some of the finest songs from the last century. Ian owns the most exact arrangements of Frank Sinatra's classic songs ever heard, so sit back, relax, pour yourself a glass of Jack Daniel's and enjoy the cool sound of Classic Sinatra Tributes - when you hear them you'll be amazed as the room comes alive. he will then perform personally for you. be included 'Dean Martin's "˜That's Amore" is a show stopping favourite as is Sammy Davis Junior's 'Mr Bojangles'. The music of Britain's Matt Monro can be included in this show as can the hits of Tony Bennnett and Nat King Cole. are so close to the originals they are often mistaken for the real thing, and Ian is often asked to prove that it is actually him singing. At Classic Sinatra we guarantee all Ian's vocals are performed live! Hear many of the hits including..